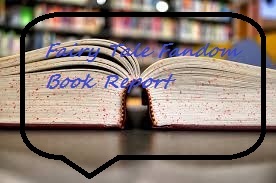 Fairy Tale Fandom: Fairy Tale Fandom Book Report: The Sorcerer's Apprentice. First of all, even though the only version of Sorcerer's Apprentice I'm familiar with is the Disney, I never thought of it as slave verses master either-but fitting in to the large category of stories that cautions against getting in too deep with forces you're not in control over. But maybe that's more of a modern notion? And thank you for your honesty! I will miss your posts but totally understand. Even though I love fairy tales it's hard to keep up regular posting and not eventually view it as more of a chore. Some time off might bring back that spark. And although I do enjoy a book full of versions of the same tale I would also be exhausted reading most of them cover to cover! I usually read a few tales here and there, or look through to compare and contrast a certain element of the tale. You didn't see the 2010 movie with Nick Cage?